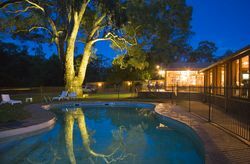 The 60 room resort and campground, located about 4.5 hours drive from Adelaide, provides the only accommodation in the Flinders Ranges National Park. It has a long history in Australian tourism and was built and formerly owned by the highly respected Rasheed family. Grant Hunt, Chairman of Anthology, which will manage the property, said "We are excited to be working with IBA again and look forward to supporting ATLA to help develop indigenous employment and deliver additional economic opportunities to this region." "We are increasingly hearing that travellers from Australia and overseas are seeking out authentic indigenous experiences which allow them to the view this country through the eyes of the traditional owners. This new partnership will allow for that to happen in one of Australia’s very special places." Through the relationship with Adnyamathanha, there are plans to develop indigenous tourism programs which will greatly enhance the guest experience. It is hoped, that in the future through Indigenous training and employment, that the resort will be able to expand the current range of tour offerings which currently include scenic flights from the Resort over the Pound and as far as Lake Eyre; extensive 4WD tour programs including half and full day options exploring the fabulous geological history of the area; and a series of walks. In addition to the touring, the new owners have plans to invest in refurbishment of the property which will include a redesign of the public areas to enhance the previous renovation of all the rooms. IBA also partners with Anthology at the well-known Wildman Wilderness Lodge in the NT. That property, located in the Mary River Wetlands National Park, opened last year and offers a range of indigenous touring experiences for guests including cultural walks and cruises. IBA CEO Chris Fry stated that the purchase of Wilpena Pound Resort is an important joint venture for IBA and ATLA that creates Indigenous economic development opportunities in remote South Australia and will have strong cultural outcomes. "This investment is expected to create wealth and an ongoing income stream for ATLA. IBA has a strategy to sell down the equity in the resort to ATLA over time," Fry continued. ATLA Chair, Vince Coulthard stated "There is a strong interest from numerous members of ATLA to work at the Resort. This is a time for us to share our culture and give visitors a chance to learn about the Muda (spirituality) of this very sacred place." The Anthology team will include Lynette Rasheed remaining as Director of Sales based at the property and reporting into Sally Cope, Director of Sales and Marketing for Anthology. Matt Coxon will remain as General Manager.